One of the most daunting and most dreaded deeds in life is buying a car, next to buying a home of course, but nothing can compare to the rewards you can reap when you find the right dealership family. Come in and join the Ron Westphal Chevy family of dealerships today! Let’s face it buying a car is stressful and when you walk into a dealership and are instantly swarmed by sales people haggling and stressing you out more, you’re instantly turned off of the experience all together. At Ron Westphal Chevy, as soon as you walk through our newly expanded and modernized showroom doors, you will notice our family friendly atmosphere, no haggle-no stress environment right off the bat. We take great pride in our family owned business that has been a staple of our local community for almost a half century and taking care of each of our valued customers as we would take care of our own family member. We have a strong drive to give back to our local and surrounding communities. Our passion is with the people, their families, and any way we can contribute to their lives and our community. Thank you for visiting Ron Westphal Chevy in Aurora, IL, we value your patronage and we welcome you as part of the Ron Westphal Chevy family! At Ron Westphal Chevy in Aurora, IL we have full inventory of brand new and certified pre-owned vehicles just waiting for you to check out today! 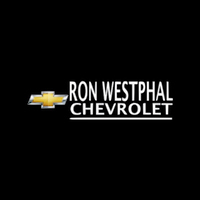 Come in and see the Ron Westphal Chevy difference today! Whether you are in the market for a mid-sized sedan, crossover, full-sized SUV, work truck or cargo van for your business, Ron Westphal Chevy in Aurora, IL has the vehicle you have been looking for, and the customer service team to exceed all of your expectations. If you have been looking for an eco-friendly and gas foregoing car then the Chevy Bolt, Chevy Volt and Spark will fit your budget and your gas pump bypassing voyages very well. For those of you looking for a mid-sized sedan that has all the advanced technology and safety features everyone is looking for the Chevy Malibu, Chevy Cruze and the Chevy Impala has the right price tag and all the roominess and luxury you need. If you want a mid-sized or full-sized family friendly SUV Ron Westphal Chevy has lots full of model after model for you to choose from. We have Chevy Equinox, Traverse, Chevy Trax, and the big daddies Chevy Tahoe and Chevy Suburban too. Maybe you are more of a speed demon and an adrenaline junky and need the wind in your hair. We have the sporty and fast Chevy Camaro and the Chevy Corvette to fit any budget and any enthusiastic heart pumping need for speed out there. For all you hard working Chevy lover we have Silverado 1500, 2500 HD, 2500HD, Colorado and for those of you who need to move passengers and cargo we also have City Express cargo van and Express cargo van.As you can see at Ron Westphal Chevy we have a vehicle to fit any budget and need. Come in and test drive the vehicle that fits your fancy today at Ron Westphal Chevy in Aurora, IL! At Ron Westphal Chevy we offer great financing deals to each of our valued customers that are customized to their individual needs. You can visit our finance center on our website and get pre-qualified and we even offer specific financing for those customers who have a less than perfect credit history because we understand life is not perfect. We want to get you into the vehicle of your dreams and our finance specialists will work with you to make this happen. Come into Ron Westphal Chevy Today and speak with one of our experienced finance specialists today! We also offer finance and lease specials which save our customers thousands of dollars off the price of our vehicles and we combine them with local and regional manufacture incentive to save you even more of your hard earned money. Come in and see what we can do for you! At Ron Westphal Chevy our service center is the number one place for all your service, parts and repair needs with only certified and highly trained technicians who repair your vehicles right the first time. We only use Chevy OEM parts and accessories and will get you back on the road fast, safe and within budget. Most of our techs are Chevy Certified and our entire shop is highly trained to perform all automotive repairs and replacements from engines, tires, radiators, suspensions, transmissions, tune-ups, diagnostics, hoses, fluids, air-conditioning, heating, exhausts, wipers, glass and much more. To schedule your service appointment either call Ron Westphal Chevy or schedule here. At Ron Westphal Chevy we have been a family owned business for over four decades and have a strong commitment to our people, communities and families. We not only strive for excellence in customer service but in giving back to our communities both locally and in our surrounding areas as well. Come in and join the Ron Westphal family of dealerships today!